In this tutorial, we will show you how to choose the crop after correcting geometrical flaws with DxO ViewPoint 2, and we will show you how to use Adobe® Photoshop® or Adobe® Photoshop® Elements® software to fill in the black areas which appear as a result of the corrections. • Adobe Photoshop or Adobe Photoshop Elements 12. DxO ViewPoint 2 is very effective at correcting geometrical flaws tied to shooting images with wide-angle lenses, but these corrections necessitate a certain amount of cropping (done automatically when the geometrical corrections are applied). 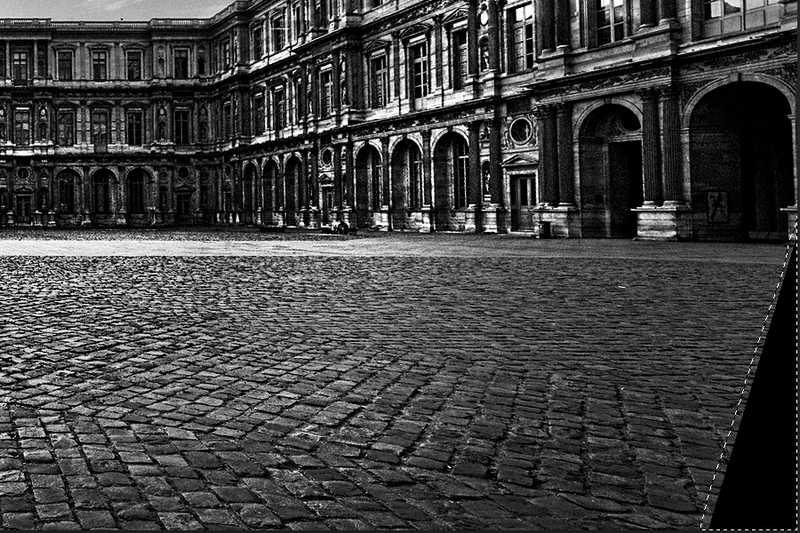 Even though photographers are strongly advised to take into account this kind of cropping and thus to leave enough space around the subject so as not to lose important parts of the image, this isn’t always possible, particularly when there isn’t enough distance or enough room to back up. 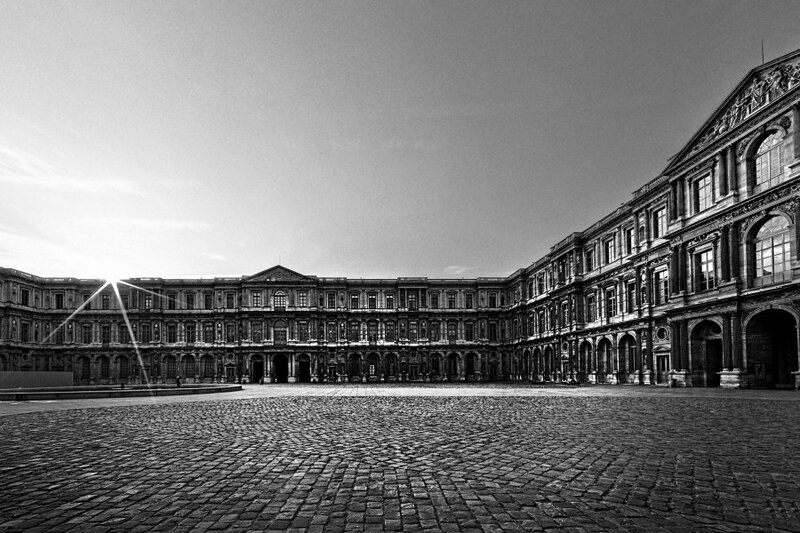 In these instances, in order to preserve the entirety of the subject, you can crop your image differently rather than use the crop provided by the automatic tool. The downside is that you will need to integrate the blacked-out areas that otherwise cannot remain in your final image. In the corrected image below, you can see the darkened areas along the borders that appeared after the application of the volume deformation correction. In this tutorial, we will show you how to manually crop a photo to achieve the desired framing, and we will explain how to fill the dark areas created by cropping by using the tools available in Adobe Photoshop and Adobe Photoshop Elements 12. You will see that these techniques can be applied to the three different kinds of corrections offered by DxO ViewPoint (perspective, volume deformation, and distortion). The Clone Stamp tool (available in Adobe Photoshop and in Adobe Photoshop Elements) helps you make these kinds of corrections, but quickly reaches its limits, so we will show you two other very easy and effective methods here. During the preceding step, cropping is automatically applied by default. 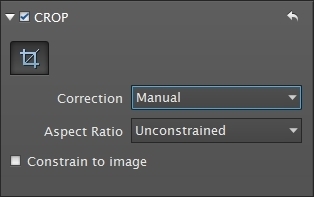 To manually crop your image, select the Manual option in the Correction drop-down menu. 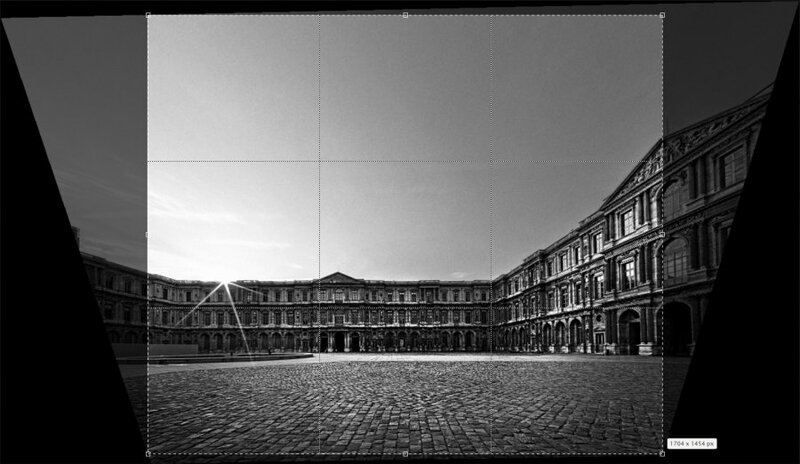 The principal window will display the complete image, including the blacked-out areas, as well as a grid that will help you apply your manual crop. 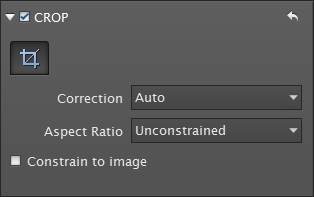 Before you apply the crop, we advise you to lock the proportions of the image by selecting the Preserve option in the Image ratiodrop-down menu. You can also select a predefined or custom format if you prefer. You can now go ahead and crop your image. Here we have decided to extend the selection right up to the left-hand border in order to leave more space behind the model. button, after which you should save your corrected image. 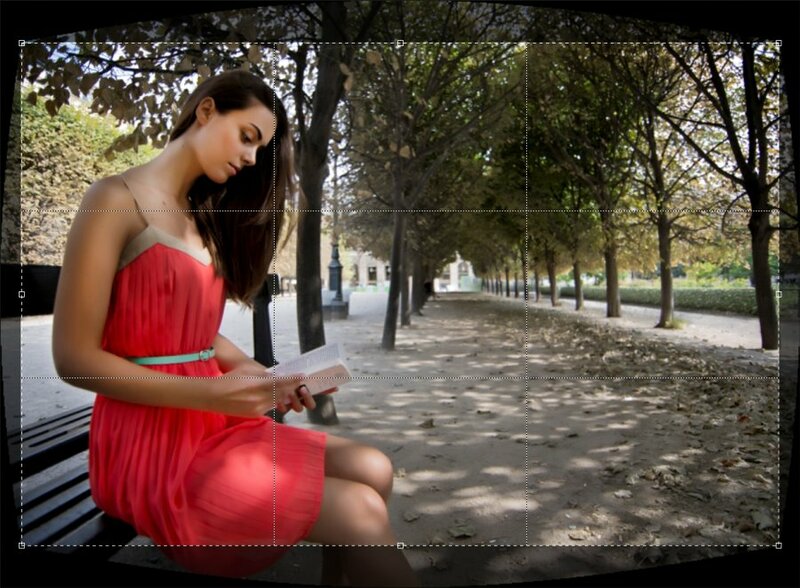 Open Photoshop Elements and choose the Expert mode in the Photo editor. icon in the left-hand panel. In the tool settings, select the size of the brush – here we will choose 50px – and make sure that the Content Aware option is checked. As soon as you release the mouse button, the tool calculates and applies the correction. Repeat the operation in the lower area and save your work after you finish applying the corrections. 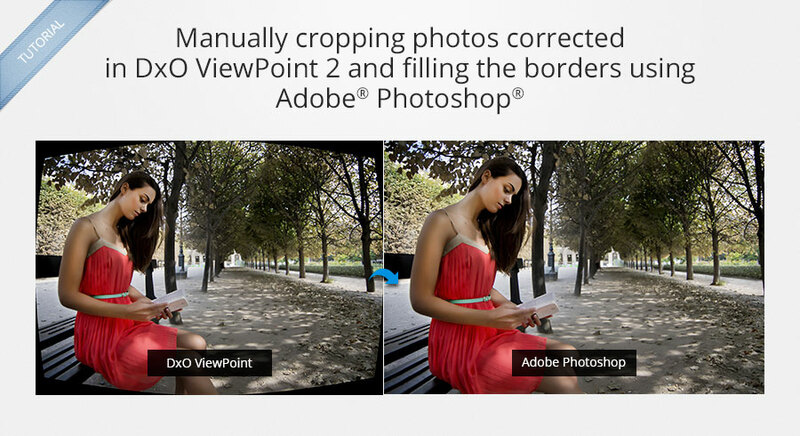 The Spot Healing tool is also available in Adobe Photoshop. Place the 8 anchor points on the photo so as to indicate the horizontal and vertical line pairs that will guide the correction. 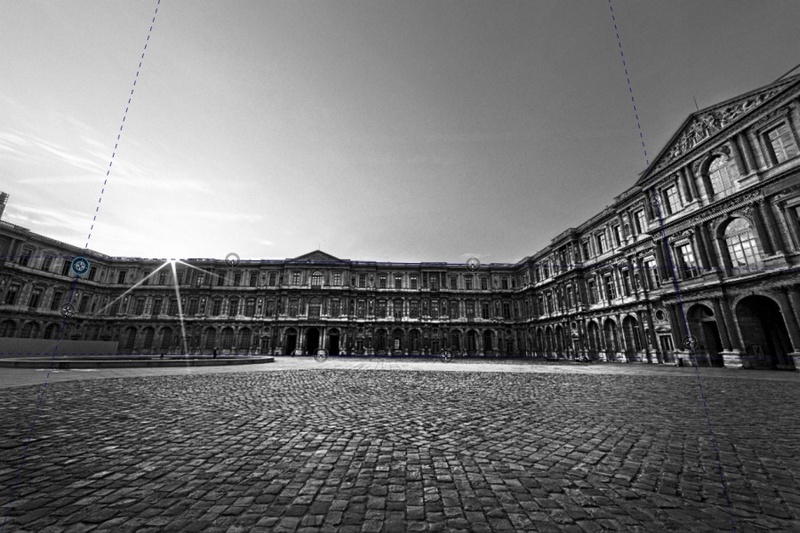 To learn more about how to correct your images even more precisely, see our tutorial about correcting complex perspective problems. 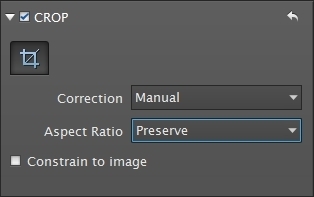 Proceed to manually crop your image in the same way as in the previous example: first select Manual in the Correction drop-down menu, then choose Preserve in the Aspect Ratio menu. 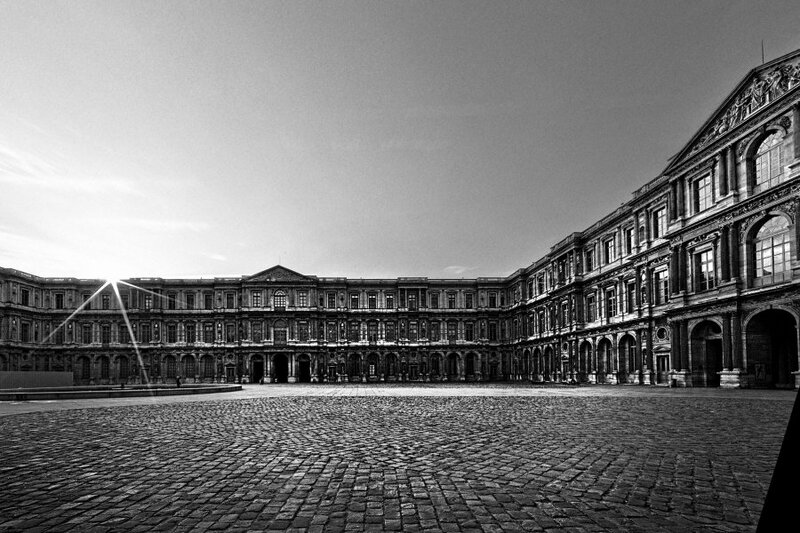 Here we will extend the selection so as to integrate the portion of the courtyard in front of the right wing of the Louvre. Then select an appropriate area near the part you want to fix. Select the fill tool in the Edit menu. 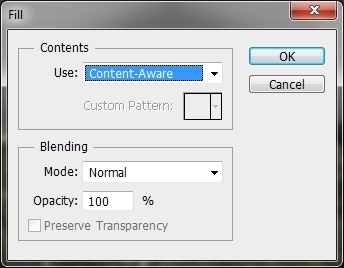 In the Content section of the drop-down menu, make sure that the Content aware option is selected. Click on OK to see the result. Finally, deactivate the selection tool so that you can see the overall result, which you can now save. Photos credits: Olivier Lambolezanced settings.